Congratulations! You’re closing on year one of marriage. 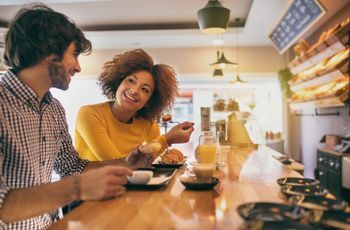 While you’re probably still soaking up all that newlywed bliss (as you should), it’s time to start thinking about how you’ll celebrate some first anniversary trip ideas. 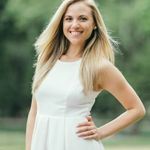 While some couples choose to keep their first year anniversary low key—camping out on the couch with a nice bottle of vino and some takeout and watching their wedding film on repeat is a classic mainstay—others appreciate an exciting trip, maybe back to their honeymoon destination or another desired spot on their travel bucket list. 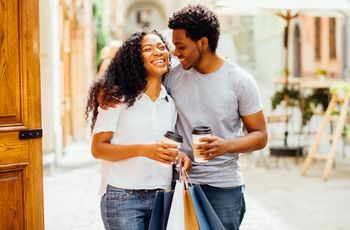 However you choose to celebrate is up to you, but if you have a hankering to get away just the two of you, here are some first anniversary trip ideas that don’t require a super long flight—or a passport. If you live in the Tri-State area and are looking for a beach anniversary trip idea in the U.S.A. that doesn’t involve a plane ride, head to New Jersey’s beautiful Cape May, which is just under three hours from Manhattan. Camp out in Stone Harbor, which lies on the southern portion of Seven Mile Island, a strip situated right on the water. Stay at The Reeds at Shelter Haven, which is open year-round (even during snowy season!) and located directly on the bay and steps from the white sanded beaches. Catch stunning views on their intimate sundeck before heading to the downtown area to check out all the cute shops! 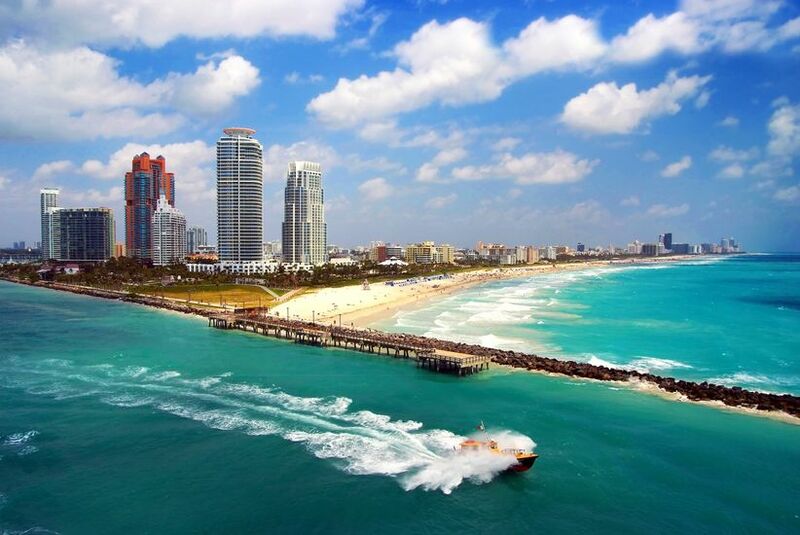 If you’re looking for crystal clear, Caribbean-quality water without having to jet across the ocean, head to Miami, which is loaded with stunning beaches and a heaping serving of culture as a favorite anniversary trip idea in the U.S.A.. If you’re looking to catch more than just rays, visit the Phillip and Patricia Frost Museum of Science in Downtown’s Museum Park. In addition to learning about science, technology and engineering, you can take advantage of 360 degree views of Miami, a captivating three-level aquarium, musically themed laser shows and an on-site planetarium. Stay at the Cadillac Hotel and Beach Club in the heart of Mid Beach, a romantic hotel with Art Deco flair and private balconies on most rooms! Whether you’ve never been or visited dozens of times, NYC is always a good first anniversary trip idea. 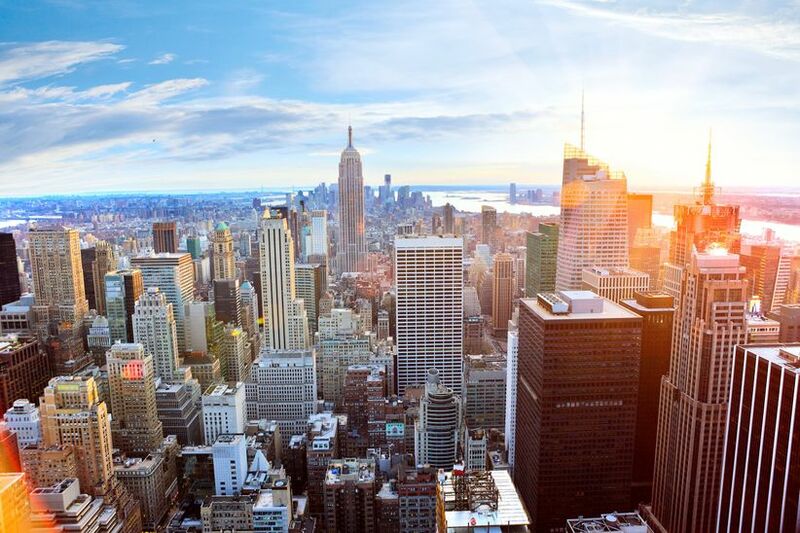 Not only are there endless things to do in the city that never sleeps, but it’s also undeniably romantic anytime of year—spring, summer, fall and, of course, winter with holiday lights decorating every block and the Rockefeller Christmas tree standing tall. Stay smack in the center of the city at The Kimberly Hotel which boasts breathtaking views of the East River and Midtown Manhattan from their rooftop lounge, Upstairs, which serves small plates, funky cocktails and even brunch. As if the view could get any better, the walls are retractable walls so you and your spouse will really feel like you’re on top of the city. 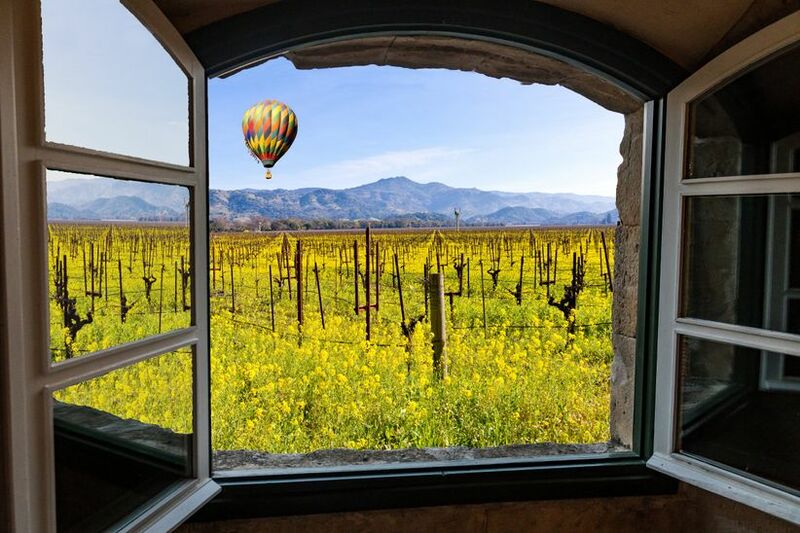 If you appreciate good wine and artistic expression, head to California’s Napa Valley, which boasts as many as 500 vineyards, as a truly special first anniversary trip idea. Many of the delights of the region are found a few miles north along Highway 29, which those in the know call “Up Valley.” One of those includes the beautiful Charles Krug, California’s oldest winery. Indulge your senses while tasting a wide variety of estate wines, tour the stunning property and learn about the history of the Napa Valley. For a true, whirlwind romance experience, stay nearby at Las Alcobas, which is just three minutes down the road. It’s situated adjacent to another one of California's oldest wineries, Beringer Vineyard, in the charming and sophisticated community of St. Helena. Enjoy a revitalizing treatment in atrio, the property's signature spa, and savor world-class dining at their restaurant, Acacia House. You don’t have to be a wine lover to enjoy this beautiful island just south of Cape Cod, Massachusetts—one of our favorite first anniversary trip ideas. This longtime New England vacation destination is crawling with beaches, historic landmarks, adorable shops and, yes, vineyards. 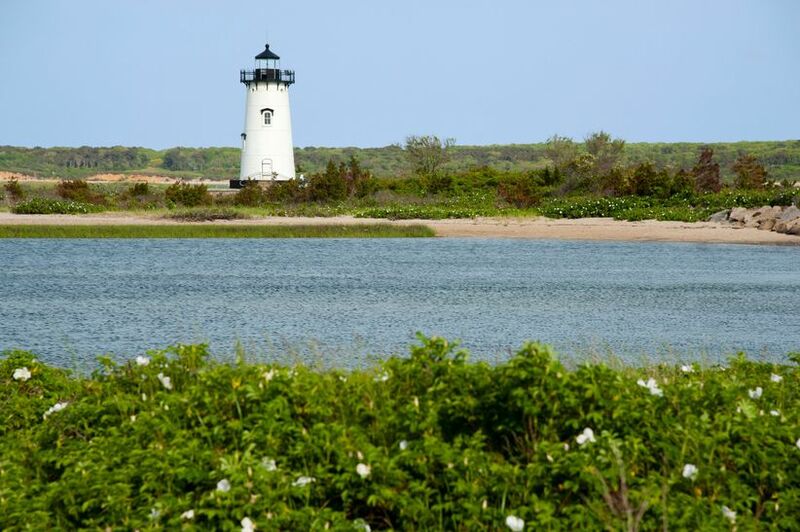 Stay at Winnetu Oceanside Resort, at South Beach in Edgartown. 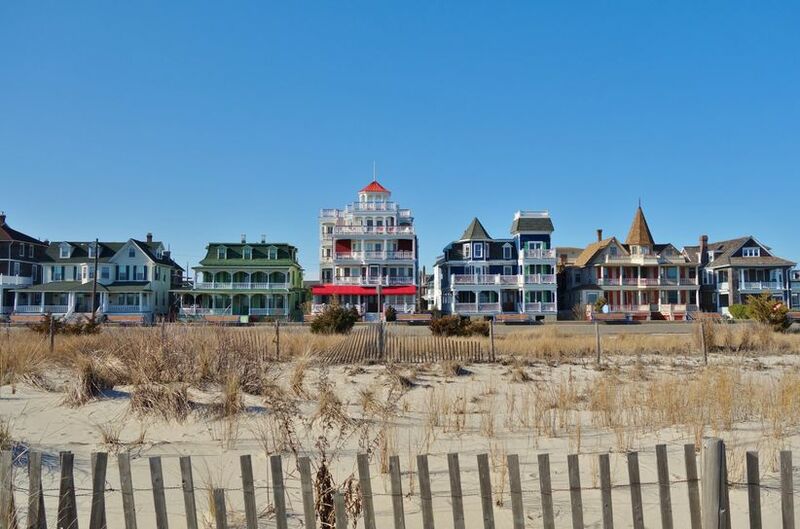 Family owned and styled after the traditional New England grand seaside resorts, it’s set beside the natural dunes and at the head of world-class hiking and biking trails. Of course, summer is the best time to visit Martha’s Vineyard so you and your spouse can enjoy the endless outdoor activities. 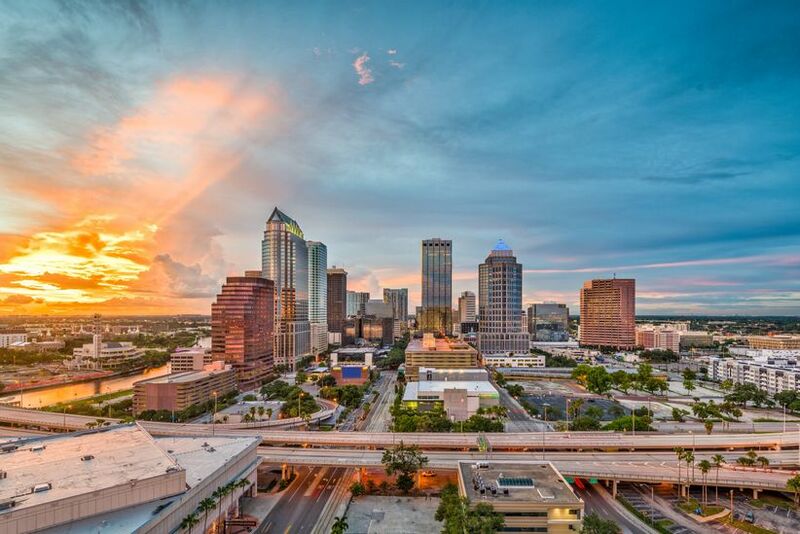 If you’re looking for a quick getaway that offers you all of the perks of a vacation worthy of traveling far and wide for, consider Tampa, Florida. The city is not only bursting with culture and vibrancy from every nook and cranny, but it boasts a rich history that’s to be admired. The Spanish explorer Ponce de Leon first arrive on the shores of Tampa Bay in 1513 (impressive, right?) and it’s since served as a commercial hub, mainly in the cigar industries. In fact, some of the oldest cigar factory buildings are still in tact today! History buffs and foodies alike will also love the eclectic eatery scene in Tampa. While much has changed, much has remained the same, including Columbia Restaurant, which has been serving guests since 1905 and still churns out some of the most delicious Spanish food overseas from the homeland. (Tip: Don’t leave without trying their Cuban sandwich and bread pudding!). Another restaurant relic that ages like the fine wine it houses is Bern’s Steak House, which offers guests one of the most unique culinary experiences ever. Founded in 1956, Bern’s offers guests an unprecedented menu of prime steaks cut to order, vegetables grown locally on their family-owned farm, over 21 choices of caviar and, last but certainly not least, the largest wine collection in the world. All restaurant guests score a tour of the kitchen and wine cellar before entering the private dessert room upstairs decorated with wine-barrel booths and a jukeboxes at each table. To truly make your trip seamless, stay at the Epicurean Hotel, which is located directly across from Bern’s. It’s known as the foodie hotel, not just for their prime location, but also for on-site cooking classes led by professional chefs in their impressive test kitchen, and their restaurant Élevage, which takes on classic cuisines from around the world.